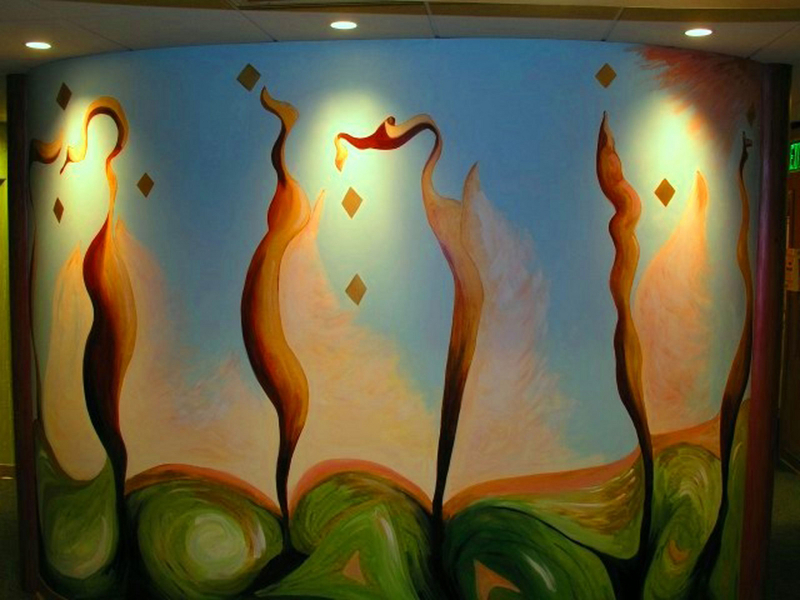 This wall mural was commissioned as a focal point of the very center of a dental office. It needed to be bold but somewhat restrained. It also needed to present unlimited possibilities, because the staff working at the desk look at it at all times. After 8 years they claim to always find new things to look at.